The EU has set out plans for Spain to be given a veto over the British overseas territory's participation in a future deal governing the UK's departure from Europe. Although there was no reference to Spain's claim to sovereignty in the EU negotiating document, the decision to give its government a specific role in deciding if a trade deal will apply to Gibraltar has caused deep unease in Westminster. 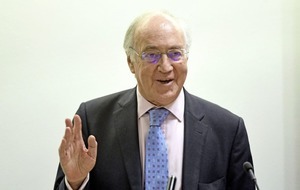 The revelation prompted former Conservative leader Lord Howard to claim that British Prime Minister Theresa May would be prepared to go to war over the territory. "Thirty-five years ago this week, another woman prime minister sent a task force halfway across the world to defend the freedom of another Spanish-speaking country and I'm absolutely certain that our current prime minister will show that same resolve in standing by the people of Gibraltar," he said. 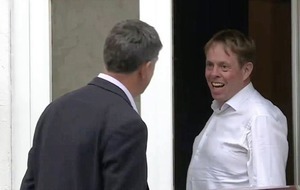 Foreign Secretary Boris Johnson also insisted there could be no change to its status without the "express support and consent of the people of the Gibraltar and the United Kingdom". Spanish foreign minister Alfonso Dastis said his government was "a little surprised by the tone of comments regarding Gibraltar coming out of Britain, which is a country known for its composure". Mrs May later appeared to rule out any possible conflict. 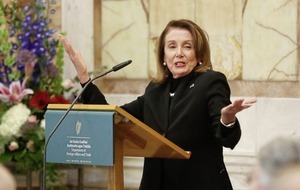 "We are going to be talking to them (Brussels) about getting the best possible deal for the United Kingdom and for those countries, Spain included," she said. Gibraltar, a 2.5 square mile peninsula dominated by the 1,400ft-high Rock of Gibraltar on Spain's southern coast, was controlled by Spain until the 18th century. It is home to 30,000 people who voted by a 96 per cent majority to remain in Europe in last year's Brexit referendum. Mrs Foster spoke to Chief Minister Fabian Picardo yesterday and said the pair have shared Brexit aims. 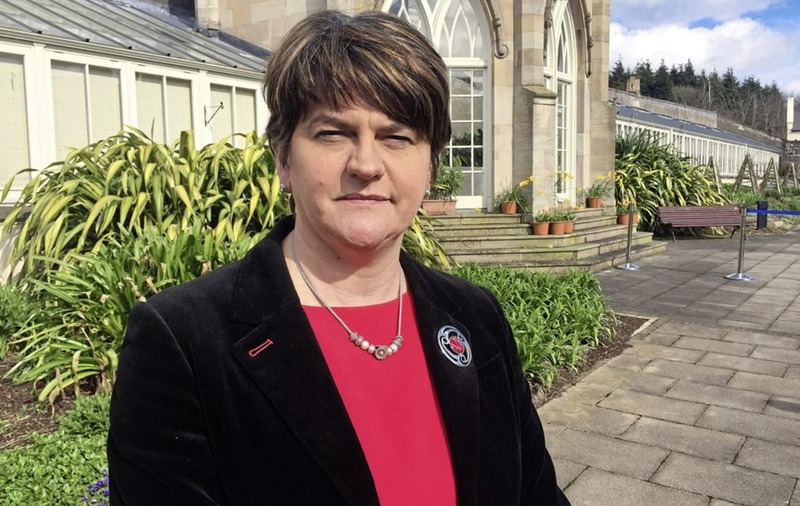 "I had a very pleasant phone call this evening with the Chief Minister of Gibraltar in which I reiterated my support for his position and that of the people of Gibraltar," she said. 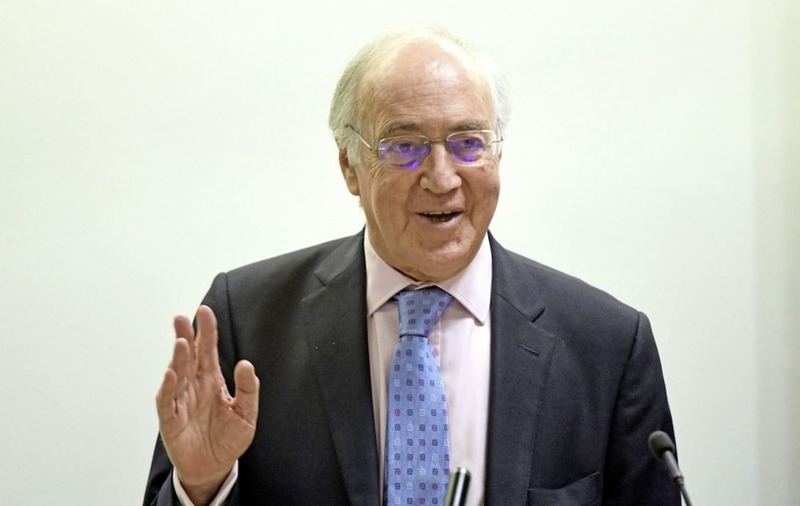 "I recognise the importance of British sovereignty for Gibraltar and pledged my support to the Chief Minister in his desire for Gibraltar to remain as a British overseas territory." 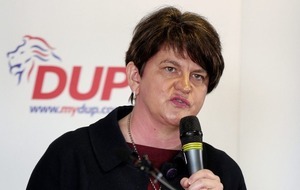 She added: "Our priorities are similar as we seek to achieve the best possible deal for the people of Northern Ireland and Gibraltar, as we leave the EU."